The global regulatory framework of cryptocurrencies and blockchain remains either fragmented, vague or simply nonexistent. However, Swiss officials recently took steps to get ahead of the regulatory uncertainty surrounding the world of blockchain, focusing on a particularly large hurdle for companies in the industry. In July, reports in the Financial Times said Switzerland is working to open the nation’s traditional corporate banking market to cryptocurrency companies finding it difficult to get banked, thanks to fears over anti-money laundering (AML) violations and other compliance issues. At the time, Heinz Tännler, finance director of the canton of Zug in Switzerland, told reporters that the nation would clarify financial regulations on providing banking services to crypto businesses by the end of the year. Only a few months later, the Swiss Bankers Association (SBA) also announced plans to ease regulatory red tape on the nation’s crypto and blockchain businesses, to address what it described as an “exodus” of blockchain projects, shifting their home bases from Switzerland to other markets. Part of the initiative includes the SBA’s guidelines to the nation’s traditional financial services market on how to service these industry players while maintaining compliance. According to Reuters last month, “only a handful” of the 250 banks in Switzerland are able to provide deposit services to the estimated 530 blockchain startups based in Switzerland’s Crypto Valley. 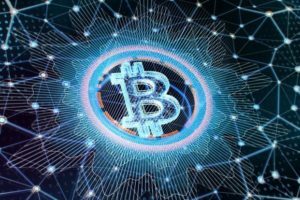 The issue at hand is that, while these businesses operate on cryptocurrencies, they still need traditional financial tools and use of fiat currency to make payroll payments, pay their own bills, make social security payments and more. Furthermore, many of these businesses that raise funds via initial coin offering (ICO) are unable to deposit the fiat equivalent of that funding into accounts to finance their growth. 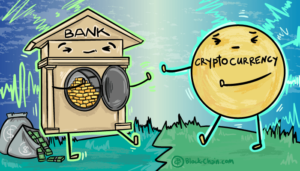 Banks’ concerns led two financial institutions (FIs) in the country, that had previously agreed to service crypto companies, to backtrack and withdraw their services earlier this year. Unnamed sources told Reuters that Züercher Kantonalbank, Switzerland’s fourth-largest bank, closed the accounts of more than 20 industry startups. The SBA said it hopes the guidelines will encourage FIs to service these industry players and keep blockchain innovation within Switzerland. “We believe that with these guidelines, we’ll be able to establish a basis for discussion between banks and innovative startups, making the dialogue simpler and facilitating the opening of accounts,” said SBA Strategic Advisor Adrian Schatzmann in a statement last month. According to Alexander Vogel and Reto Luthiger from Swiss law firm Meyerlustenberger Lachenal, the SBA’s guidelines advise banks to take different approaches to servicing these companies based on whether or not a business has completed an ICO or not. Those without an ICO “should be treated the same way as any other small and medium-sized entity,” the SBA said. For those with ICOs, the process is a bit more complicated, with elevated regulatory scrutiny imposed on those businesses, according to a recent article for the International Law Review. As Switzerland’s financial services market explores how to support crypto businesses’ fiat currency and banking needs, the industry is beginning to explore how to adjust to crypto services themselves. Late last month, SEBA Crypto, a Swiss startup, raised $103 million to establish a bank that offers cryptocurrency-related financial services, Reuters reported. At the same time, some traditional FIs are exploring how to work with cryptocurrencies in addition to fiat currency. Last year, the nation’s Falcon Private Bank recently announced it would store and trade bitcoin. In August, Zurich-based Maerki Baumann Private Bank said it would accept digital currencies, too. According to Reuters, the initiatives are all part of Switzerland’s broader efforts to “regain [the] cryptocurrency crown,” so long as banks and crypto businesses continue to manage and raise money — regardless of currency type — with the proper AML and know your customer (KYC) checks.